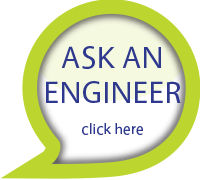 Are you uncertain how or where to get started with your fabrication or automation project? Contact Bent River Machine. We will work with you to understand what you need and then analyze to find the best solution for your project and your company. We have a special ability to provide detailed and focused expertise to each one of our customers due to the unique nature of each project we handle. 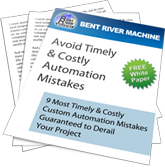 Remember, no matter what phase your project is in, Bent River can help. Some concepts have only been thought up on a piece of paper or a white board, and some companies come have all of the design elements and only need product manufacturing and fabrication. Either way, Bent River respects your company’s intellectual property and private company information. We always recommending signing a mutual non-disclosure agreement when working with companies to protect your privacy. Want to get started today? Contact us to begin.